The American Trucking Association has recently been lobbying Congress to expand current weight limits for semi trucks. The Jere Beasley Report states that, since 1991, the weight limit for such trucks has been 80,000 pounds. The industry is now hoping to increase that weight limit to nearly 100,000 pounds. Many trucking manufacturers firmly assert that this change would be beneficial for everyone, but the proposal has been met with criticism from many safety advocates. Despite the ATA’s promising view of an increase in weight limitations, such a shift would pose some very serious problems. It would certainly increase the stress and strain on highway infrastructure, which is a major safety concern. Considering federal funding for such maintenance is decreasing, the problems created by heavier vehicles could prove quite severe. Heavier trucks would also be more difficult to stop in emergencies. The fatality rate in heavy truck crashes is 50-60%, already twice that of smaller vehicles. Additionally, truck manufacturers do not undergo strenuous safety testing the way other vehicles do. It is also unlikely that the trucking industry would change design processes to improve crashworthiness to accommodate these heavier weights. So, even with the purported benefits of increasing the weight of semi-trucks, the fatality statistics in truck crashes would likely only continue to rise. Ultimately, the safety threat of larger and heavier trucks is very real. If you feel strongly about keeping these trucks off the road, contact your Congressional representative. It is imperative that the safety of the average citizen is protected, not the safety of big business’ profit. Three people have been killed and five others suffered serious injuries in a recent nursing home van accident. The van was returning from a trip to Choctaw Casino on the southbound Highway 69/75 when authorities say a semi truck that was entering from an on-ramp hit the van, causing the van to hit another truck on it’s opposite site. The van then rolled over off of the highway. The three victims whom died in the accident are Beacon Hill nursing home residents Ann Brychta, who was 103, Wanda Gardner, 80, and Bruno Sperber, 75. A fourth resident of Beacon Hill, Kenneth Drake, 56, was taken to Plano in critical condition. The driver, another staff member, and Brychta’s son and his wife were all taken to Texoma Medical Center with serious injuries. Borchardt Law Firm. has been retained to investigate and pursue the claims on behalf of some of the victims. Our condolences and thoughts go out to them and if anyone has any information please contact us. Last month, the Texas Department of Transportation (TxDOT) released their 2012 report on the most congested road segments in Texas. Topping the list is I-35W in Fort Worth. The DFW metroplex snagged 45 of the top 100 spots, including 5 in the top 10. Stretching from I-30 to SH 183, this segment of I-35 racks up an average of 586,664 hours of delay-per-mile. 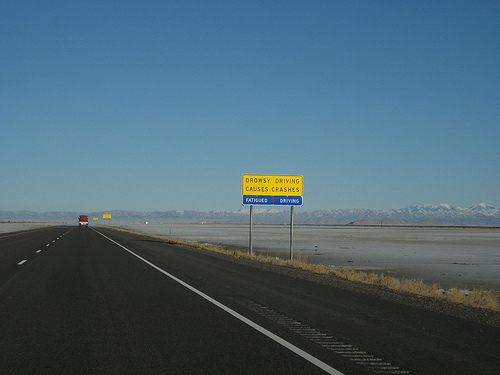 Annually, this stretch of highway causes 1,160,961 hours of delay. It tested as the second most stressful highway to drive on in Texas according to the TxDOT congestion report. With these statistics, it carries a cost of lost time and wasted fuel of nearly $3 billion. Fort Worth natives know that getting to DFW airport from I-30 eastbound is nearly impossible. The Texas Department of Transportation releases this report annually as part of their ongoing commitment to address traffic congestion. A calculated 2 million additional hours of travel time have been accumulated on a segment of highway that is only 3.7 miles long. As most of us know, motorcycles already come with a high risk due to the lack of protection a bike has. According to the National Highway Traffic Safety Administration, there are over 4 million motorcycles registered in the U.S., making up two percent of all vehicles registered in U.S. However, even though motorcycles represent only two percent of all vehicles in the U.S., they also represent five percent of all highway fatalities each year. More than likely motorcycle accidents end in serious injury or fatality, compared to a car where 20 percent of accidents result in serious injury or fatality. Motorcycle drivers need to be aware of all safety precautions before heading out on the road. To read the most updated list of motorcycle safety tips click here. Every year drivers are warned about the risks of driving, risks involving alcohol, drugs, texting and just about any distraction. Another risk that many drivers may think they don’t need to worry about is driving while tired, also referred to as drowsy driving. 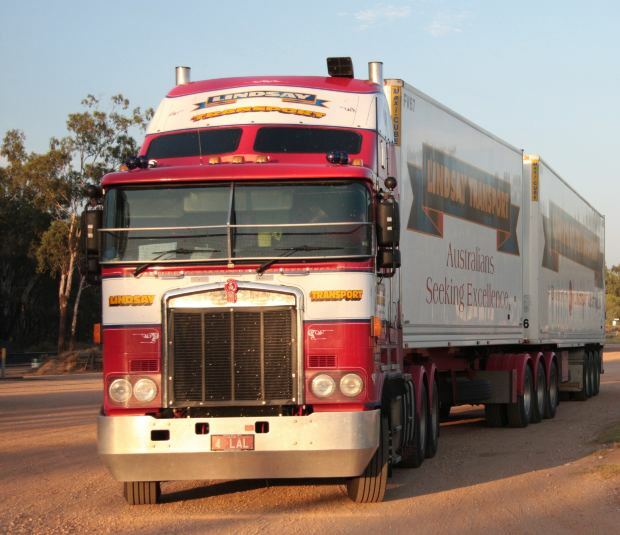 However, a recent study done by an Australian research team has found that almost half of the 517 professional truck drivers that were tested had positive results for sleep apnea. Sleep apnea is characterized as a sleeping disorder where a person may experience abnormal pauses in breathing during sleep. These pauses can range from a few seconds to minutes, they can occur anywhere between five to 30 times or more per hour, greatly affecting the energy level of the person the next day. The problem with the disorder is that many people who have it don’t realize they have it, though one of the most common symptoms can be constant fatigue and exhaustion during the day. At the beginning of the study, the researchers asked all 517 drivers if any of them had been diagnosed with sleep apnea. 4.4 percent said they had been. After the tests, results showed 41 percent of those drivers actually had sleep apnea. Trucking companies have continued to update their laws and tests in hopes to enforce a safe driving environment both for their truck drivers and other drivers on the road, however, drivers still need to be aware of any symptoms they might have of sleeping disorders. Truck News recently reported that the Federal Motor Carrier Safety Administration will most likely begin testing truck drivers for sleep apnea in order to prevent drowsy driving. For those who have never heard of a program called SteerSmart, our firm would highly recommend everyone to look into it, especially those with young drivers. After seeing and dealing with several cases involving tragic accidents on the road, Borchardt Law Firm wants all drivers to be reminded of the basic ways to stay safe behind the wheel. At times, it is easy to simply think you’ll be fine with out your seat belt, or going 10 over on the high way is no big deal. However, after watching a presentation done by SteerSmart, you’ll be reminded why those simple gestures can not only save your life, but other drivers and passenger’s lives as well. SteerSmart is a non-profit organization devoted to educating young drivers and parents about the risks and safety of driving. The program informs the public through presentations, literature and videos targeted to drivers, passenger and their parents. “The program helps drivers become more responsible and safer while helping their parents learn the real risks they face and how to better protect them.” SteerSmart presentations cover topics ranging from speeding to texting to alcohol to overcorrecting. The program covers every risk you can think of, and how easily those risks can be avoided. SteerSmart was founded by Lauren Winborne. Winborne, a mother of six, began the program after hearing interviews with parents who had lost their children to accidents. Winborne has since strived to educate schools, associations and communities in hopes to help prevent accidents that take lives and leave others impaired. After attending a presentation, the program is guaranteed to leave an impact. SteerSmart presents students in the program who have been killed by making just one fatal decision and survivors from crashes discussing how easily their accidents could have been avoided. Accidents occur everyday across the U.S. Of all those accidents, 70 percent of them are avoidable accidents. SteerSmart shows their audience how to be in that 70 percent, the program focuses on the idea that no one wakes up and begins their day with the thought process of, “I could die this afternoon.” When you think twice about that statement, you begin to realize all the small things you might do behind the wheel that only increase your chances of being involved in an accident. It makes you think twice about the risks of driving and how to prevent your children from making those dangerous decisions. Drowsy driving could be the number one cause of car and truck accidents today. According to CBS News, a recent study done by the AAA Foundation for Traffic Safety, found that 96% of drivers say drowsy driving is unacceptable, however, one-third of those drivers admit to driving while drowsy in the past month. Drivers have continuously been warned about the consequences of driving while intoxicated and driving while distracted, but now, the public needs to add to the warnings about driving while drowsy. 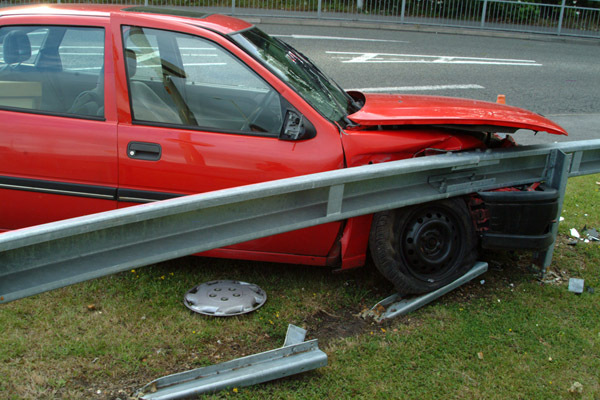 The need for personal injury lawyers has significantly increased across Texas, especially due to accidents on the road. Whether it’s DWI accidents, distracted driving accidents or just simple accidents the number of car crashes isn’t decreasing. One interesting study we found shows that driving while drowsy can be just as if not more dangerous than driving while intoxicated, causing thousands of truck and car accidents each year. The National Highway Traffic Safety Administration (NHTSA) has compared it to driving with a blood alcohol level at .10, well over the legal limit of .08. Driving while drowsy has proven to be extremely dangerous. NHSTA has estimated that each year close to “100,000 police-reported crashes are the direct results of drivers’ fatigue, resulting in an estimated 1,500 deaths, 71,000 injuries, and $12.5 billion in monetary losses.” So how do you know if you are becoming too drowsy to drive? Enough truck and car accidents happen every year, how can you avoid drowsy driving to prevent more truck and car accidents? The AAA Foundation for Traffic Safety has conducted a list of what they believe to be the six most important guidelines a driver can follow in hopes to prevent drowsy driving. •	Get a good night’s sleep: The amount needed varies from individual to individual, but sleep experts recommend between 7-9 hours of sleep per night. •	Plan to drive long trips with a companion: Passengers can help look for early warning signs of fatigue, and switching drivers may be helpful. Passengers should stay awake and monitor the driver’s condition. •	Take regular breaks: Schedule regular stops – every 100 miles or 2 hours, even if you don’t feel tired, and more often if you feel like you need it. •	Avoid alcohol and medications: If medications warn that they cause or may cause drowsiness, avoid taking them before driving. If you must take certain prescription medications that cause drowsiness, don’t drive immediately after taking them. •	You should never consume alcohol before driving in the first place, but it is especially important to realize that alcohol interacts with fatigue, increasing sleepiness. If you are already tired, even a small quantity of alcohol may exacerbate your sleepiness and increase your risk of crashing, even if your BAC is well below the legal limit for a DWI conviction. •	Consult your physician or a local sleep disorders center: If you suffer frequent daytime sleepiness, experience difficulty sleeping at night, and/or snore loudly on a regular basis, consult your physician or local sleep disorders center for a diagnosis and treatment. In 2006, large commercial trucks were involved in nearly 17,000 accidents in Texas. Due to the tremendous weight and force of big rig trucks, the fatality rate in those accidents far exceeded the fatality rate in accidents involving only passenger vehicles. Trucking companies across Texas are abiding to new regulations in hopes to prevent more accidents. •	Drivers may drive up to 11 hours in the 14-hour on-duty window after they come on duty following 10 or more consecutive hours off duty. •	The 14-hour on-duty window may not be extended with off-duty time for meal and fuel stops, etc. •	The prohibition on driving after being on duty 60 hours in 7 consecutive days, or 70 hours in 8 consecutive days, remains the same, but drivers can “restart” the 7/8 day period anytime a driver has 34 consecutive hours off duty. •	CMV drivers using the sleeper berth provision must take at least 8 consecutive hours in the sleeper berth, plus 2 consecutive hours either in the sleeper berth, off duty, or any combination of the two. •	May drive a maximum of 11 hours after coming on duty following 10 or more consecutive hours off duty. •	Are not required to keep records-of-duty status (RODS). •	May not drive after the 14th hour after coming on duty 5 days a week or after the 16th hour after coming on duty 2 days a week. •	Maintain and retain accurate time records for a period of 6 months showing the time the duty period began, ended, and total hours on duty each day in place of RODS. 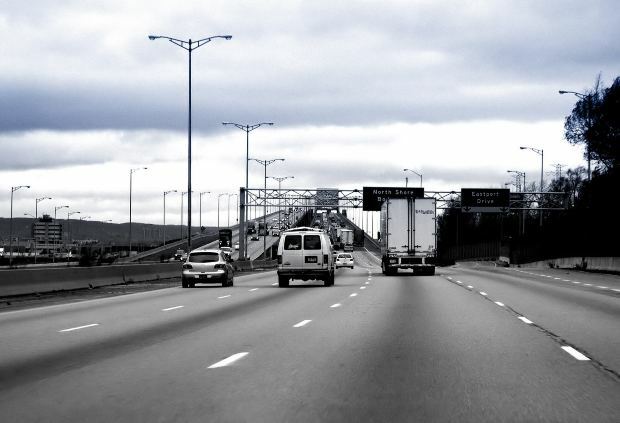 Drivers who use the above-described Short-haul provision are not eligible to use 100 Air-mile provision 395.1(e) or the current 16-hour exception in 395.1 (o). 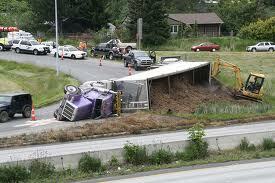 •	the truck driver operated the truck in an unsafe manner. On July 1, 2011,the Supreme Court of Texas modified long existing common law known as the collateral source rule in such a manner as to inhibit the victims of car wrecks, truck wrecks, defective products and bad drugs from getting a fair recovery from a jury in Texas. In the case of Haygood v. Escobedo, Tex. Sup. Ct. No. 09-0377, July 1, 2011, the Court concluded that health care providers make it a practice to set their full charges as high as possible in order to attempt to influence private insurers and medicare to increase reimbursement rates. As a result, the Court concluded that juries should ignore these charges by health care providers in determining the award of reasonable and necessary medical expenses and only consider what the health insurance carrier or Medicare actually paid under its reimbursement agreement. While innocuous on its face, the Court well knows that the amount of medical expenses presented to the jury during trial impacts the award of other elements of damages such as pain and suffering. By refusing to allow the jury to consider the full charge of the health insurance carrier in determining damages and only allowing the amount paid under a reimbursement agreement with the private health insurance carrier or Medicare, it can be concluded that jury verdicts in cases where the victim of personal injury has private insurance will be smaller. The collateral source rule was intended to prevent the wrongdoer to benefit from a person having insurance independently purchased from a third party. In my opinion, what is wrong with this opinion is that a person who did not purchase private health insurance will continue to be able to submit the full amount of the bill charged by the health insurance provider and as a result will in all probability have disparately higher jury awards when compared to the victim with the good judgment to purchase such coverage. As a result, in my opinion, the Haygood opinion accomplishes exactly what the collateral source rule was designed to prevent. It has the effect, whether unintended or not, to influence jury verdicts against wrongdoers lower in cases where the personal injury plaintiff did the prudent thing by purchasing health insurance.